The John Staluppi ‘Cars of Dreams’ Collection. Photo: Ryan Merrill © 2012 courtesy RM Auctions. BLENHEIM, ON.- Fresh on the heels of its highly successful Aalholm Automobil Collection auction last weekend, RM Auctions has announced the addition of a new single-vendor sale to its 2012 calendar: The John Staluppi ‘Cars of Dreams’ Collection, to be offered December 1 in West Palm Beach, Florida. 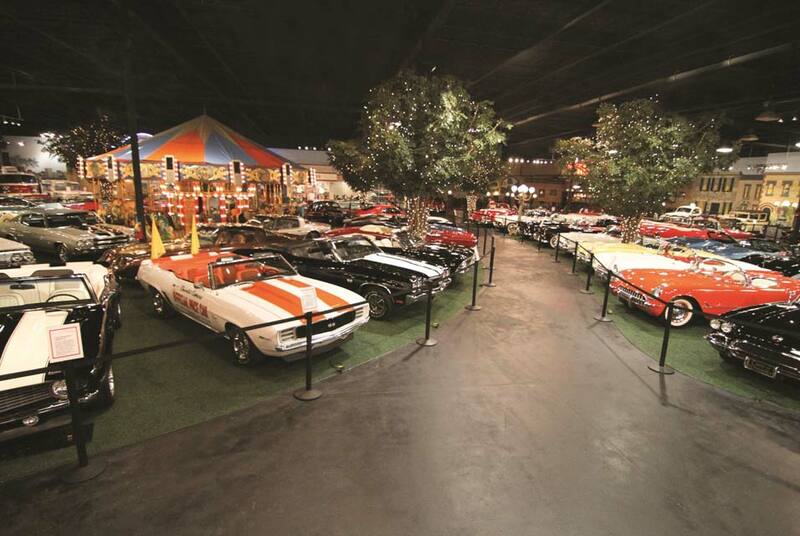 Well-known and highly regarded by automotive enthusiasts, the ‘Cars of Dreams’ Collection is the result of more than a decade of dedicated collecting by successful entrepreneur, car dealer, and lifelong enthusiast, John Staluppi. Spanning a broad range of American marques and eras, the series of nearly 120 cars comprises a wide variety of some of the finest, rarest, and most desirable American automobiles ever produced, with a strong emphasis on convertibles and performance cars. The collection ranges from a terrific series of icons from the fifties and sixties, through to a remarkable collection of Detroit muscle and pony cars, and some of the world’s greatest street rods and resto-rods, all of which have been superbly restored, regularly exercised, and extremely well maintained by a professional staff. Headlining a magnificent collection of cars from the fifties and sixties is a highly desirable, complete series of Chrysler letter cars from a 1955 Chrysler 300 to a 1962 Chrysler 300 H. Other iconic fifties convertibles on offer include a ’54 Packard Caribbean, a ’57 Chevrolet Bel Air Convertible, ’58, ’59, and ’60 Impalas, a number of desirable 88s from Oldsmobile, and a pair of mind-blowing DeSoto Adventurers. American pony and muscle cars are well represented by everything from a 1968 Shelby GT500 KR to a Plymouth Superbird and GTX, as well as several Pontiac GTOs and big-block Chevelles. Other notable entries, including a 2006 Ford Shelby GT-H Convertible, several street rods and customs highlighted by a high profile 1950 Ford Woodie Wagon, and a superbly restored Ford Good Humor Ice Cream Truck, round out this extraordinary collection. Beyond the automobiles, the December 1 sale will also feature an eclectic assortment of collectibles, including such significant pieces as a historic, 32 foot portable “Country Fair” carousel, a Mortier dance organ, and an elaborate Lionel train set, joined by an extensive selection of porcelain and neon signs, all presented within the museum in street scenes of the 1950s and 1960s. From the street lamps, parking meters and trees, a drive-in movie theater, barber shop, and gas station, the ‘Cars of Dreams’ Collection is a virtual time capsule of Americana, all perfectly presented alongside their automotive counterparts. The John Staluppi ‘Cars of Dreams’ Collection auction will cap off an exciting string of private collection sales hosted by RM Auctions in 2012, cementing the company’s reputation as the specialist for private and estate collection sales. For further information on the December auction, visit www.rmauctions.com or call RM Auctions at +1 519 352 4575. Chicago Cultural Center opens Industry of the Ordinary's "Sic Transit Gloria Mundi"